Shea Wickramasingha is the Group Managing Director of CBL Group (CBL). She joined Ceylon Biscuits Limited in 1991 as a Food Technologist and worked in various capacities in the Group and joined the Board in 1996. She sits on all of the Subsidiary Boards of the Group. She is also the founder and Managing Director of Modern Pack Lanka (Pvt) Ltd.
She is member of the Executive committee of Ceylon Chamber of Commerce and was a Board member of the CCC from June 2015 to May 2017. 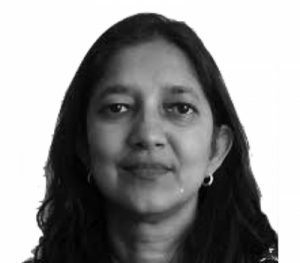 She is a member of the Monetary Policy Consultative Committee of Central Bank of Sri Lanka, EDB Advisory Committee on Processed Food and Beverages and Council of the Employer’s Federation of Ceylon. She has a MSc degree in Food Chemistry from Purdue University, USA.